Episode 500 - can you believe it? What an amazing trip this has been...I'm so grateful to all of you reading this, the members here at An Unplugged Life. Simply put, without you none of this would be possible. What more can I say?...THANK YOU! So episode 500...I think it's a good time to officially kick off our new project- the Unplugged Workbench. 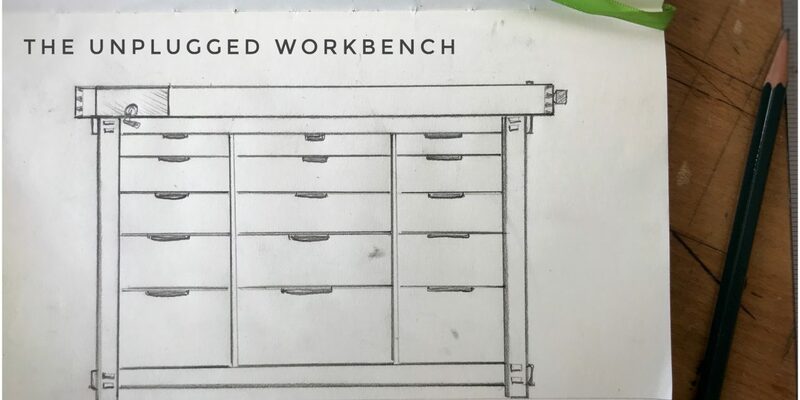 Drawing inspiration from both a Shaker style bench as well as the Studley workbench ( yes, he had a workbench and no, he didn't just have . . .